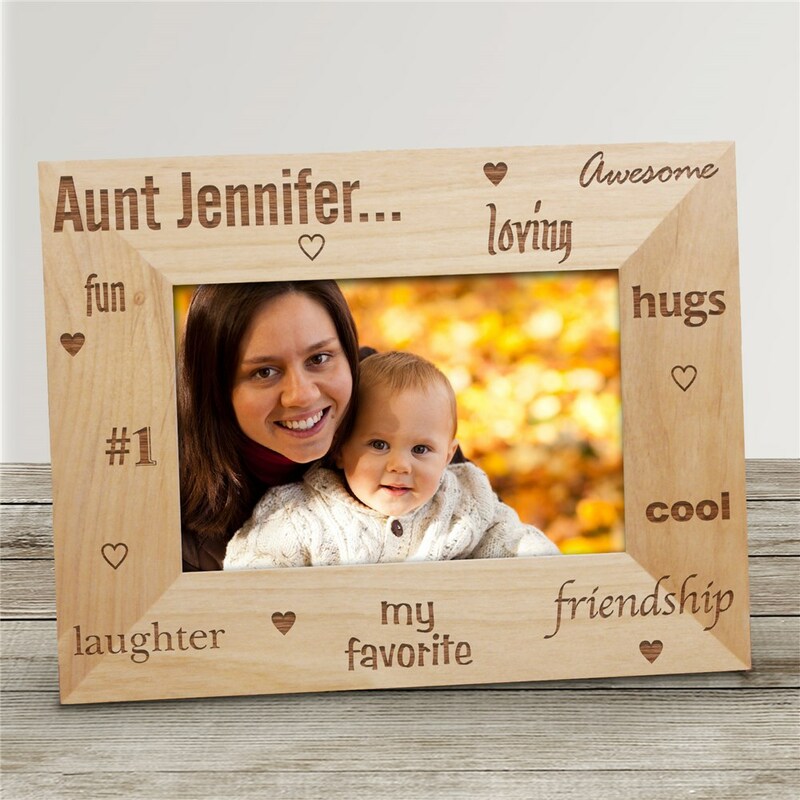 Your favorite Aunt will absolutely love these personalized wood photo frames. A special family photo along with your personal sentiments make this a cherished personalized gift that will be displayed for years. Our Personalized Wooden Picture Frames come in three sizes, please choose from, 4"x6", 5"x7" and 8"x10". Personalized Photo Frame also includes an easel back for desk display. Your Personalized Wooden Picture Frame includes FREE personalization! Personalize your Wood Photo Frame Gift with any title. (i.e Aunt Jennifer) Makes a great gift from the nieces and nephews. Good quality and good price! Very satisfied with this product. Very fast delivery. Also nicely boxed for gift giving.